WISER is proud to announce the arrival of a new international fellow who has come to WISER to study elements of simulation-based curriculum design, anesthesia skill-based simulation courses and simulation center operations. Lu Zhang, MD is an Anesthesia faculty member at The Third Xiangya Hospital at Central South University, China. 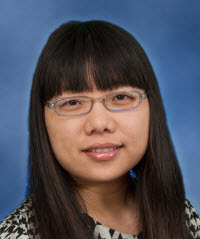 Prior to coming to WISER, Dr. Zhang was a visiting fellow at Dartmouth Patient Safety Center. WISER would like to welcome Dr. Zhang.